Give yourself the ultimate advantage with this Elite optic from Bushnell! Built to withstand and outperform the highest of expectations, this premium optic features a recoil proof construction and 1/4 MOA or finer fingertip, audible and resettable windage and elevation adjustment. 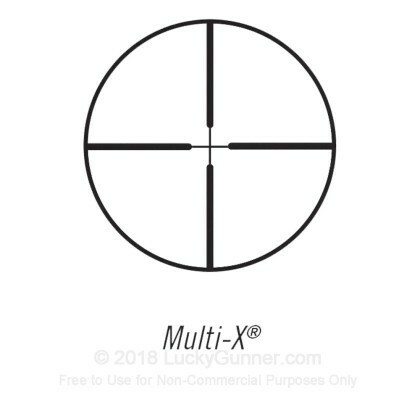 The Multi-X reticle provides fast and accurate target acquisition in the field or at the range. This Elite scope provides a visual experience with an industry-best 95% light transmission across 300% more of the visible light spectrum. This optic features argon purging which is an improvement over traditional nitrogen purging, argon purging delivers the ultimate in long-term waterproof integrity. 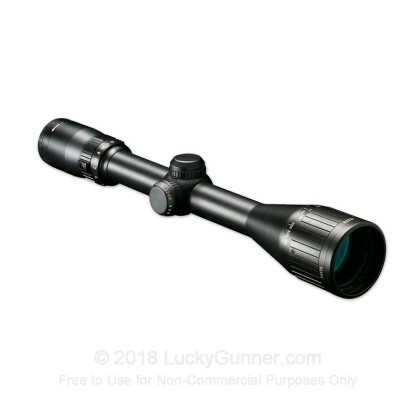 With a build quality that boast 100% waterproof, fogproof and shockproof, this scope is designed to encounter the worst the great outdoors has to offer. When you take your hunting rifle out this season, make every shot count, with a Bushnell Elite scope!